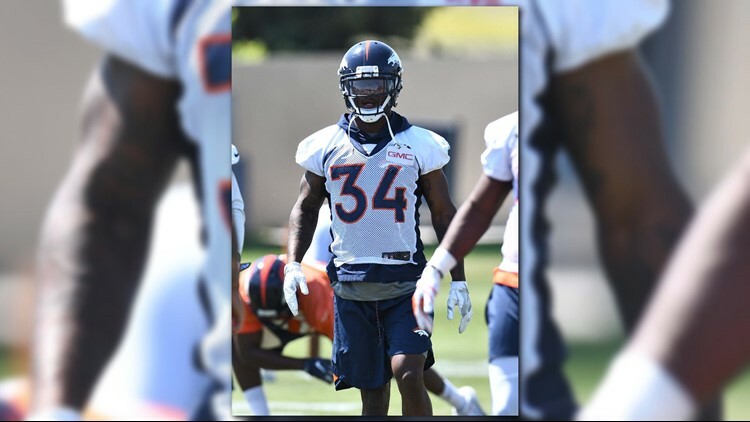 Jun 12, 2018; Englewood, CO, USA; Denver Broncos safety Will Parks (34) during mini camp drills at the UCHealth Training Center. What was Will Parks still doing in there? DENVER — As the Broncos’ preseason opener went from the first-teamers in the first quarter, to second-teamers in the second quarter, to third and fourth teamers in the third and fourth, the No. 34 orange jersey was a constant throughout. “Our safeties were dropping like flies,’’ said Parks, one of the last players to leave the home locker room Saturday night as his right ankle was wrapped in ice. “But I was excited to play that many plays. You get a chance to go out there and play with three different groups. It was not a good night for the Denver defense as every unit shared blame in surrendering 42 points to the Minnesota Vikings. But it wasn’t from a lack of effort by Parks. He played dime linebacker in the Denver defense’s first series and he was out there for the Vikings’ last offensive series. He broke a little late from his deep, free safety position on the 78-yard screen pass touchdown from Trevor Siemian to Roc Thomas in the second quarter. But Parks also had a sack on Siemian and led the Broncos with five unassisted tackles. The key was being available. With Su’a Cravens out the past two weeks with a knee injury, Jamal Carter leaving in the second quarter with a hamstring injury, Dymonte Thomas and Trey Marshall getting shook up, and starters Justin Simmons and Darian Stewart already pulled from the game, Parks had to take one for the team. And he had to take another and another and another. In March, when the Broncos acquired strong safety Su’a Cravens from Washington in exchange for dropping a few spots in the fourth and fifth rounds of the NFL Draft, Parks seemed vulnerable. Cravens and Parks are both dime linebackers by trade, meaning they are a third safety who plays in the box area. But Cravens had been playing behind Parks throughout the offseason and first week of training camp. And then Cravens went down with his knee. Parks, who is in his third year with the team, seems more secure than ever. “It’s like this: I can’t worry about a man coming in that plays my position,’’ he said. “I can only worry about what I can control and that’s to get better as a human being and a player. And if I get better as a human being and player, I’m making the team better. “Su’a is a helluva player. That’s my brother since we were in college. That’s another help for us. There’s going to be times when we’re on the same field at the same time. In practice we’re making each other better. We’re laughing and joking. When we’re on the field we make sure both of us are on our jobs and on our keys.